MicroMAS-2a, short for Micro-sized Microwave Atmospheric Satellite, is a radiometer-equipped CubeSat mission flying as a follow-up to the original MicroMAS that successfully demonstrated the satellite core systems but was not able to gather data with its radiometer due to a transmitter failure. The project continues under leadership of MIT/LL (Massachusetts Institute of Technology/Lincoln Laboratory), MIT/SSL (Space Systems Laboratory) and the University of Massachusetts at Amherst with funding from the United States Air Force and the National Oceanic and Atmospheric Administration. MicroMAS-1 was launched aboard the second operational Cygnus spacecraft resupplying the International Space Station in 2014 and was deployed from the orbiting laboratory on March 4, 2015 on a planned 100-day demonstration mission. 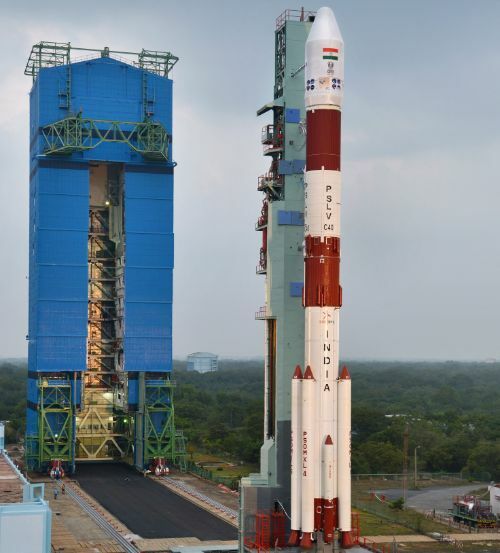 The primary objective of the mission was to demonstrate the satellite platform systems and the functionality of the radiometer payload and its moving parts with actual data collection classed as a bonus objective. 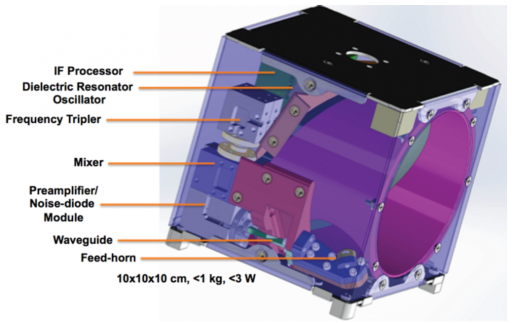 MicroMAS-1 hosted a nine-channel radiometer only sensitive in the 118 GHz band to demonstrate a CubeSat could deliver radiometric data useful for scientific applications as well as operational weather forecasting. 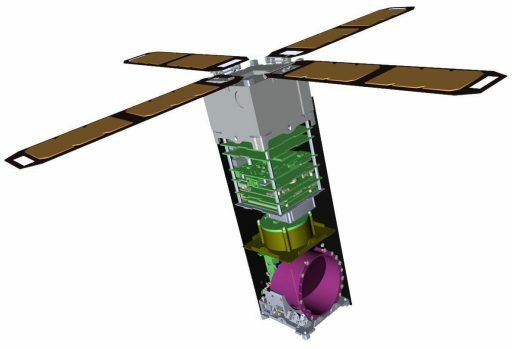 All key spacecraft subsystems could be demonstrated by the mission but actual radiometer data could not be collected due to a radio transmitter failure. 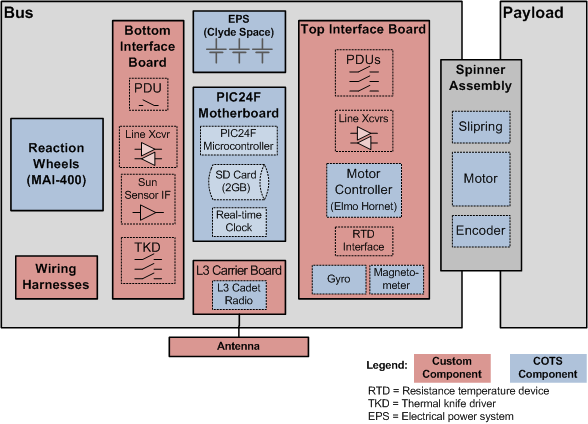 The success of the MicroMAS-1 mission was carried into development of a more advanced version with a four-band, 12-channel radiometer observing in the 90, 118, 183 and 206 GHz bands typically identified as the most crucial for temperature and humidity sounding. The initial MicroMAS mission also fed into the MiRaTA technology demonstration that combines a miniature radiometer with GPS occultation measurements to demonstrate a novel method for instrument calibration that may become the future of operational space-based atmospheric sensing. 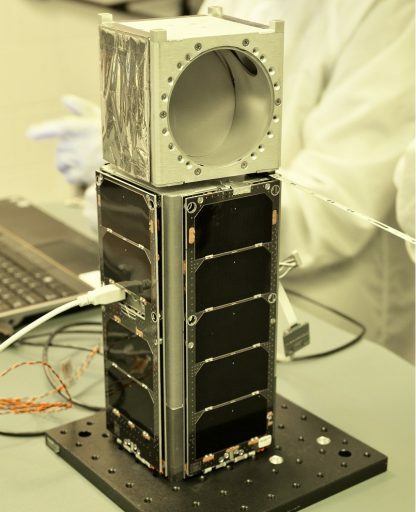 If successful, the MicroMAS-2 missions will build the foundation for a 12-satellite, three-plane constellation known as TROPICS-CubeSats deployed into 600-Kilometer orbits at a 30-degree inclination to deliver high-revisit coverage of the tropical regions where high-refresh-rate data is of critical importance when following fast-progressing phenomena like hurricanes. The full constellation would be able to deliver data at a 30-minute revisit. 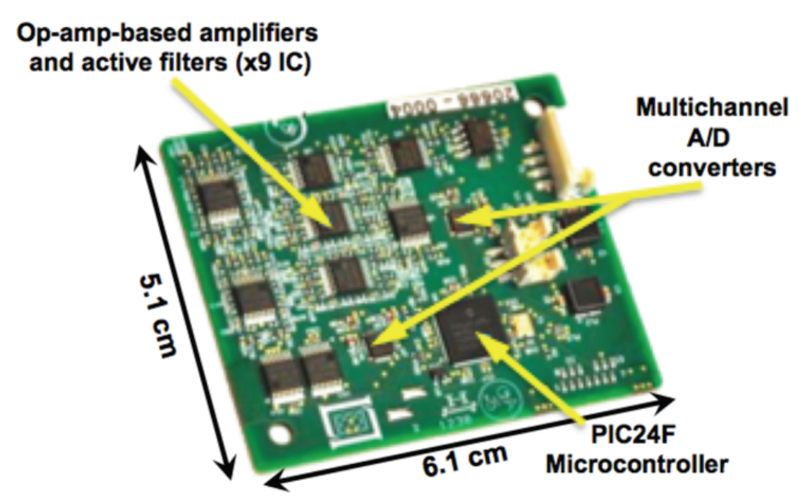 MicroMAS-2 carries a multi-band passive microwave radiometer to demonstrate miniaturized radiometer technology in space for application in ultra-compact spacecraft systems such as a high-performance multi-band sounder for future weather satellites. The low-cost, mission-flexible MicroMAS bus could find use in the development of a constellation of radiometer satellites that could provide near-continuous coverage. A continuous coverage would be desired as the current coverage using high-cost platforms has a longer revisit time leading to gaps in data during which rapid changes in storms can be missed. 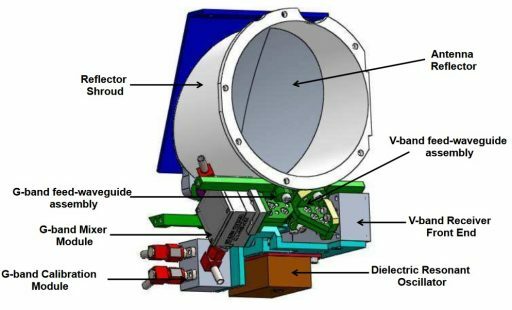 The MicroMAS-2 CubeSat consists of a two-unit platform section and a one-unit payload section connected the the platform via a spinner assembly that rotates the payload at 30rpm. 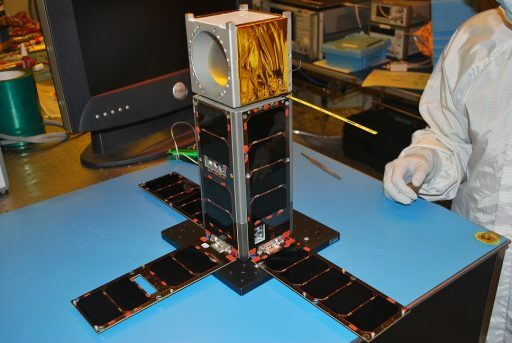 The 3.8-Kilogram satellite measures 10 by 10 by 34 centimeters in size and employs three-axis stabilization, deployable solar panels and data management to fulfill its task of autonomously collecting radiometry data that is transmitted to Earth for processing and analysis for use in weather models. 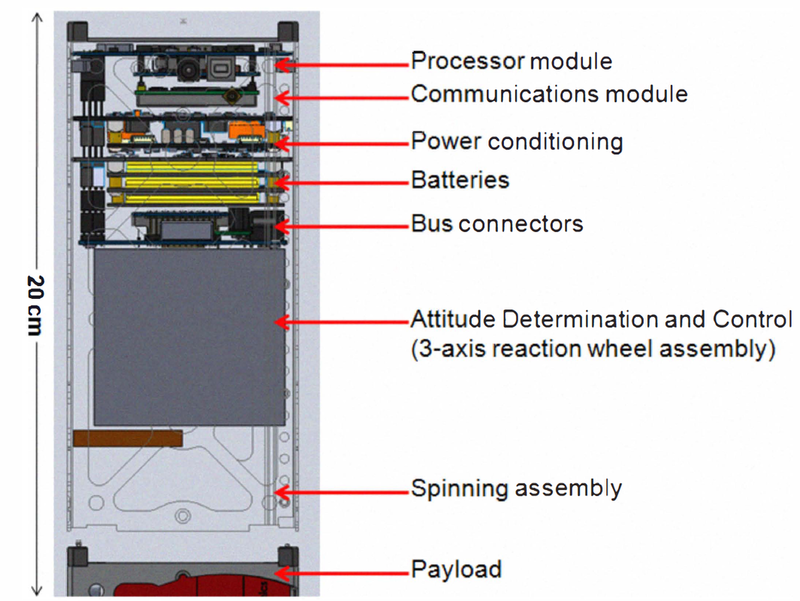 Electrical power is provided by four 3U double sided solar panels that are deployed in a dart-type arrangement at an angle of 120° to the satellite structure. An additional 2U solar panel is installed on the zenith-facing side of the satellite platform. 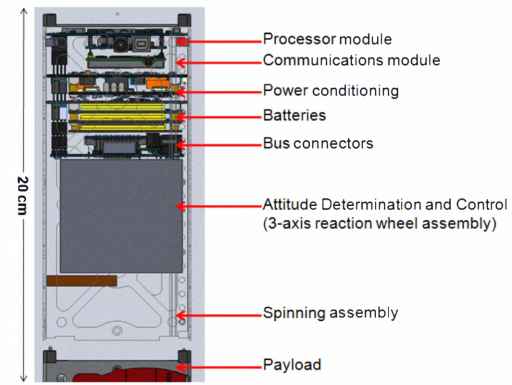 The satellite uses Ultra Triple Junction solar cells to generate an average power of 9.1 Watts. Power is stored in 30 Watt-hour lithium polymer batteries and an EPS card conditions the power buses at 3.3, 5 and 12 Volts and provides bus protection. 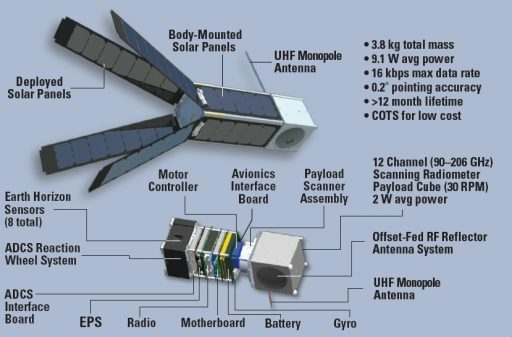 Communications are accomplished with a half-duplex L-3 Communications Cadet UHF Nanosatellite radio. 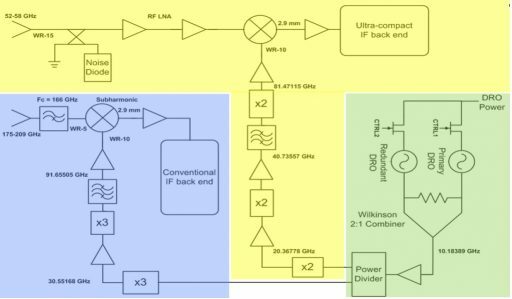 Operating at a frequency of 450MHz for uplink, the system achieves a data rate of 9.6kbit/s with GFSK modulation and 16kbit/s with FEC. 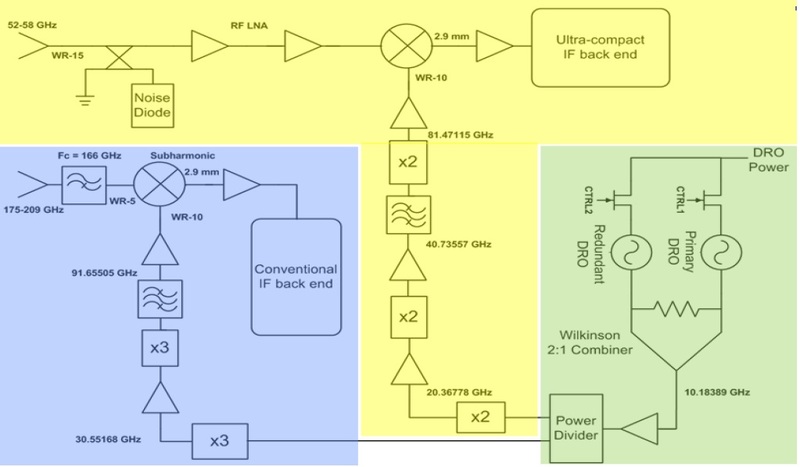 Downlink uses the 468MHz UHF frequency for low data volumes and an S-Band transmitter to reach 3Mbit/s for payload data downlink. 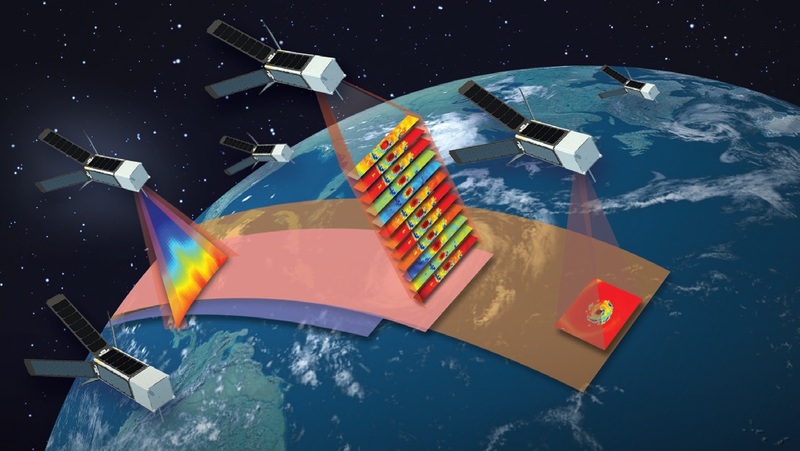 A microwave radiometer observes the radiance of the atmosphere at microwave wavelengths that are detected by an antenna which uses support electronics to detect and amplify the signals of given frequency bands. The detected power level for each frequency band is used to generate temperature and moisture profiles through the various regions of the atmosphere. Elements present in the atmosphere have different absorption spectra, allowing radiometers to observe different atmospheric constituents. The radiometer uses a parabolic reflector that focuses a conical scalar feed horn toward the satellite footprint on Earth. The reflector system has been designed with a worst-case beam efficiency of 95° and a beam width of 3°. The antenna has a 9cm aperture and uses a 3dB beam to create a nadir ground resolution of 20 Kilometers across a 2,500-Kilometer ground swath which can be compared with high-cost satellite radiometers. Of each antenna rotation, 155 degrees around nadir are used for atmospheric scanning while the rest of the rotation is available for calibration measurements and data processing. 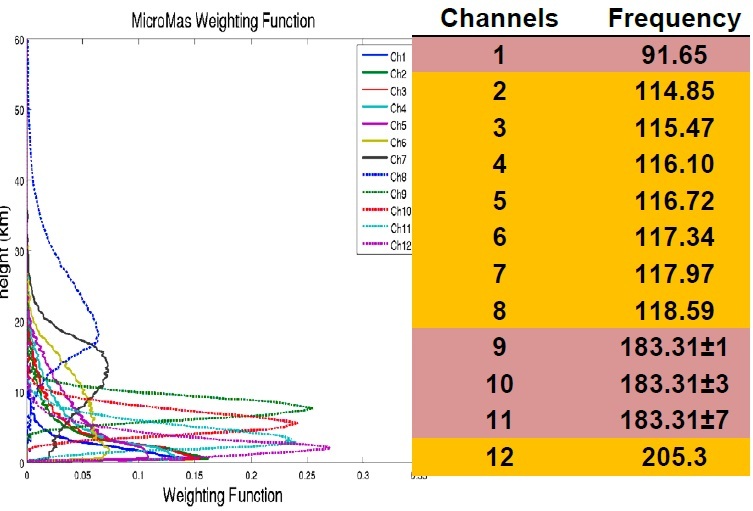 The major improvement from MicroMAS that only sounded one frequency band, MicroMAS-2 covers 12 channels in four microwave bands at 89 GHz for water vapor measurement & correction, 118 GHz for temperature, pressure & precipitation, 183 GHz for humidity and precipitation and 207 GHz as another water vapor band.